We are proud to share the success of our Summer Math Program for Young Scholars Alumni during their college admissions process. Congratulations to our Alumni for their acceptances into some of the best colleges in the country! Sabrina attended Townshend Harris High School at Queens College in Flushing, NY in the Summer of 2016. 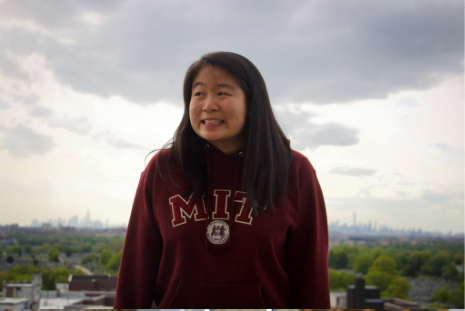 She is now a part of MIT's class of 2021 and plans to major in physics. Sabrina became acquainted with CMT's summer math program through her high school counselor and applied because she enjoyed learning math and wanted to be productive during the summer, so she decided to spend her time learning. Her favorite part of the program were the puzzles and games sections where students were challenged to think outside of the box to solve problems. As stated by Sabrina, "though math is fun, learning the basics is monotonous if we can't use them to solve more complex problems. The program showed me where my interests lie within mathematics." Her favorite class was graph theory, a completely novel concept to her. That class showed her that math isn't as rigid as one might think. According to Sabrina, "It gives you a lot of tools, but how you use those tools is completely up to you as long as it gets the job done. that being said, there are easier ways to solve problems." At MIT, she recently applied to teach maths to elementary school students. Her extracurricular activities include Fire Spinning, Caving, Undergraduate Association Compost Subcommittee, Judo, and various societies such as Society of Women Engineers, Society of Physics Students, Undergraduate Women in Physics, and Asian American Association. Starting to enter the field of physics, she received an externship opportunity to do physics research in Benevento, Italy. Sabrina definitely recommends this program mostly because of the wonderful staff. In her own words, "everyone who was a part of this program was absolutely wonderful and they all cared very much about each student and their success. The professors taught at very reasonable speed and were open to questions. The program exposed me to new areas of math and if you're interested in math, this program will be a lot of fun."